Carlthorp School | Hockey Mania has taken over Carlthorp School! Hockey Mania has taken over Carlthorp School! It’s 75 degrees and sunny on 4th and San Vicente, and the buzz on campus revolves around playing hockey. 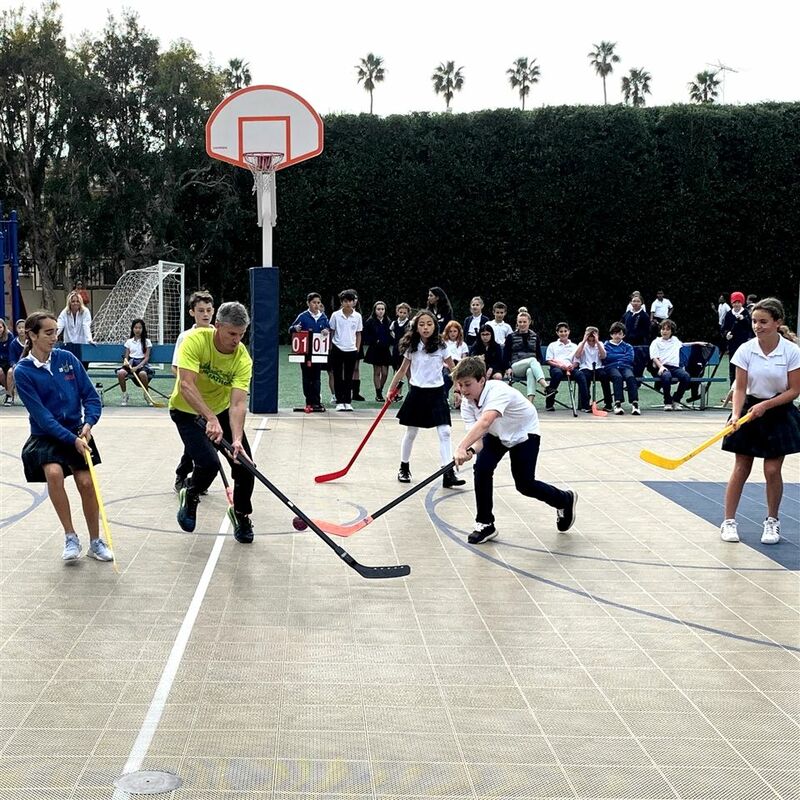 Unlike schools on the East Coast where the weather is conducive to a hockey tournament, Carlthorp students are happily competing in the annual Floor Hockey Tournament outdoors on the sport court. 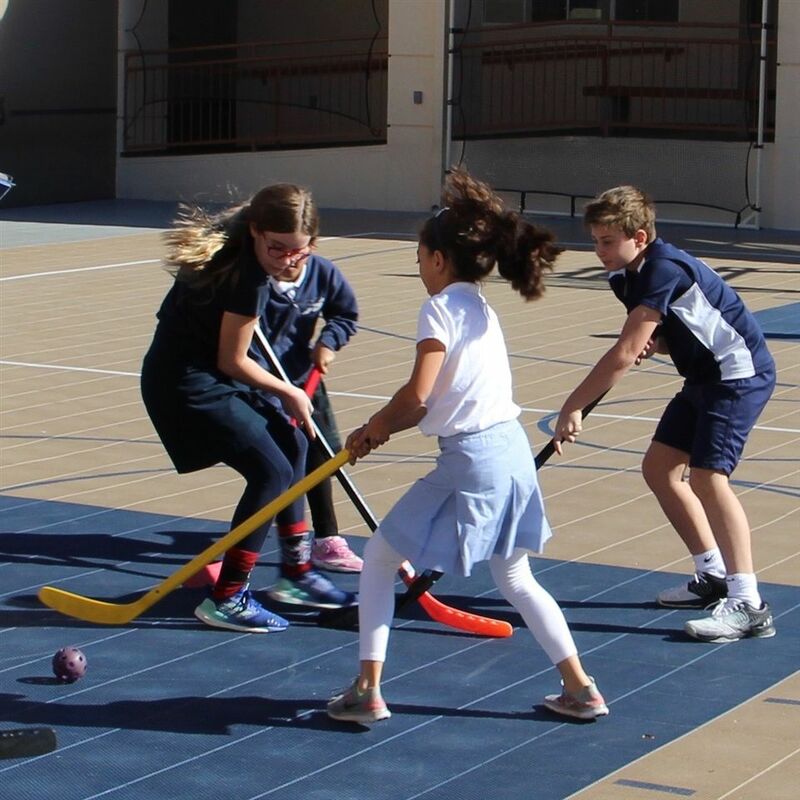 Fourteen teams comprised of students in 3rd-6th Grades and at least one faculty or staff team captain compete for the coveted title of Hockey Champion over the course of two weeks during lunch recess. 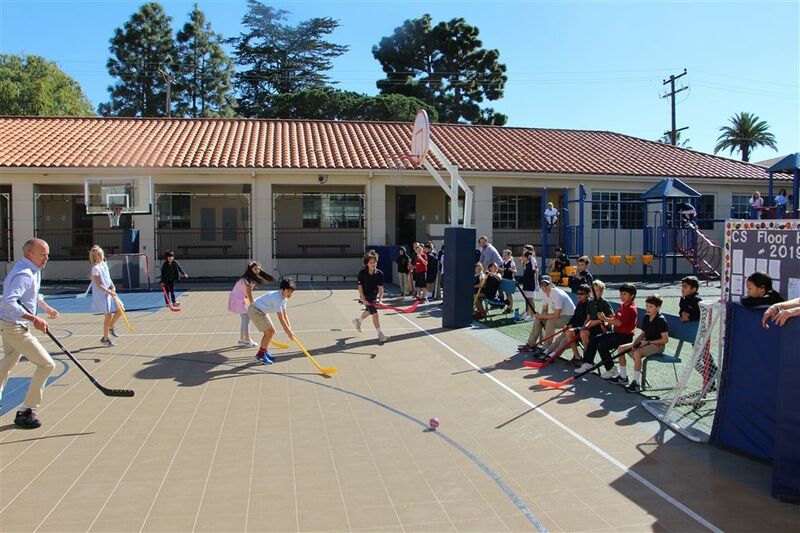 “Playing hockey requires a particular form of hand-eye coordination, one that is important for our students to learn. For that reason, we are teaching hockey skills to all grade levels during P.E. class regardless of whether a student chooses to participate in the tournament or not. 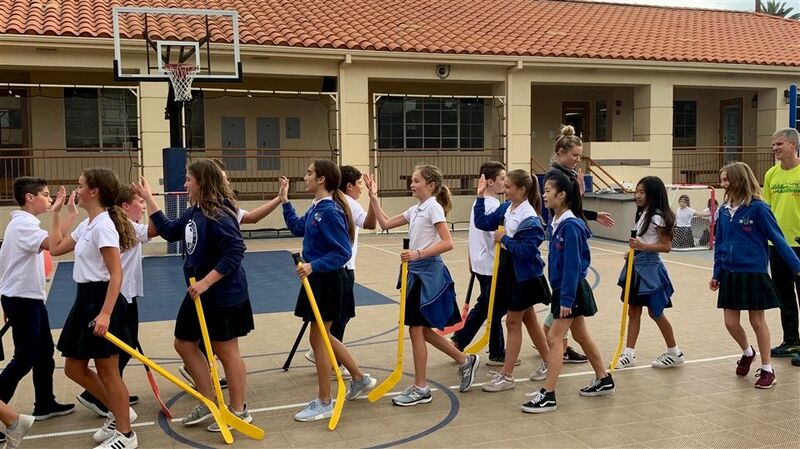 This is part of our intentional curriculum to develop well-rounded athletes,” stated Mr. Lemieux, Physical Education teacher.